Kerry Glen Simon (June 17, 1955 – September 11, 2015) was an American celebrity chef, Iron Chef winner and restaurateur based in Las Vegas. Simon was also known by the moniker “The Rock n’ Roll Chef”, a title given to him by Rolling Stone Magazine. He was the executive chef and proprietor at his namesake restaurant “Simon” at Palms Place in Las Vegas. His other restaurants included Simon LA, in Los Angeles, Simon Prime in Atlantic City, New Jersey, along with KGB and Carson’s Kitchen in Las Vegas. The rock and roll chef who had restaurants at Palms Place, Harrah’s and downtown Las Vegas at Carson’s Kitchen fought a brutal and gut-wrenching, 2-year fight against the hideous brain disease of Multiple System Atrophy. The MSA community will always remember Kerry fondly. He was a gentle, talented and passionate individual and will continue to be greatly missed. Kerry was a heroic witness to the tragedy of MSA. We are indebted to him for his efforts to raise awareness, crucial research funds and for giving a public voice to our cause. 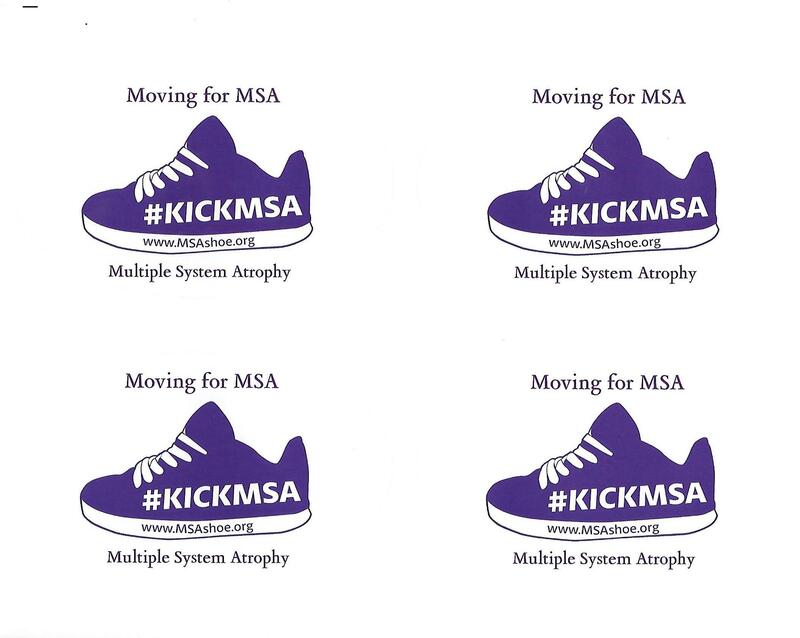 Kerry also believed in the value and mission of the MSA Shoe as a tool to increase MSA awareness. For that, we are again thankful for his encouragement. The Kerry Simon Fund at the Lou Ruvo Center for Brain Health was established to help create awareness, raise research funds and support those suffering from this relatively unknown disease. 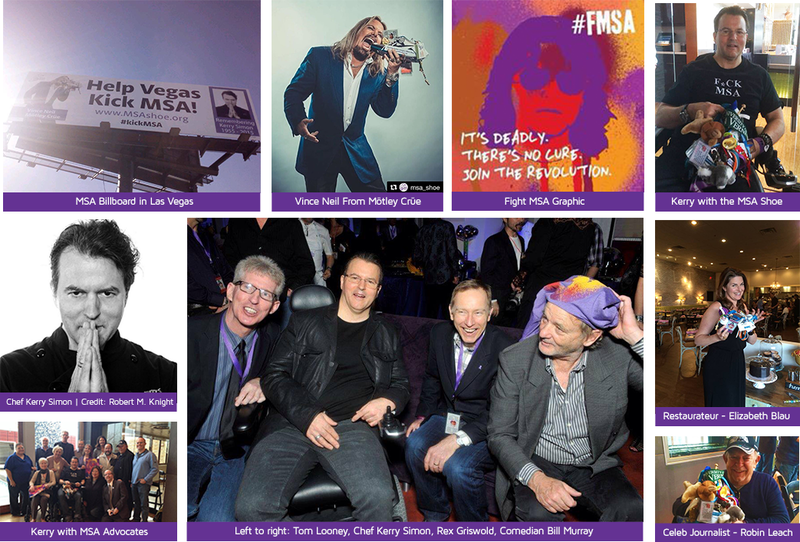 We honor Kerry and his commitment to Fight MSA! Please consider a donation in his memory to the Kerry Simon Fund.